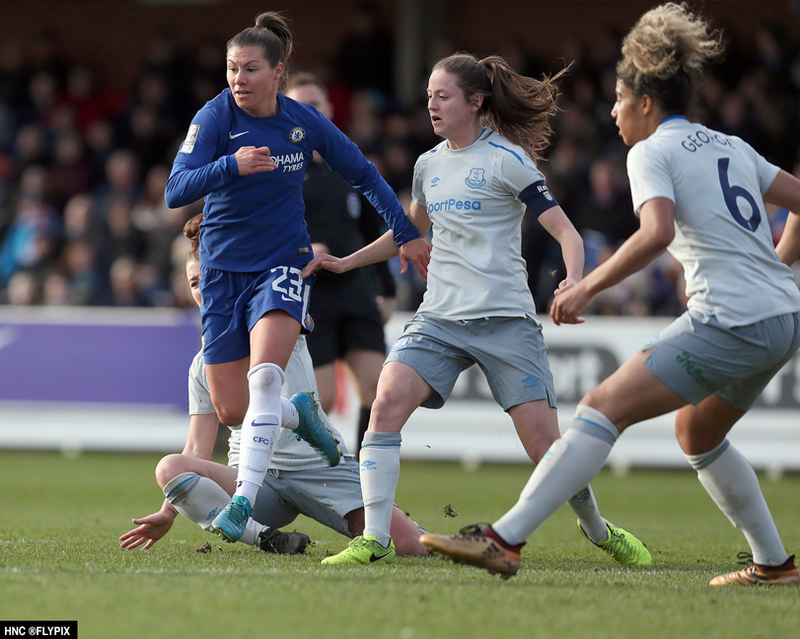 FA Women’s Super League stars Chelsea Ladies LFC put on a fighting performance against a physical Everton Ladies LFC during their home match in London. 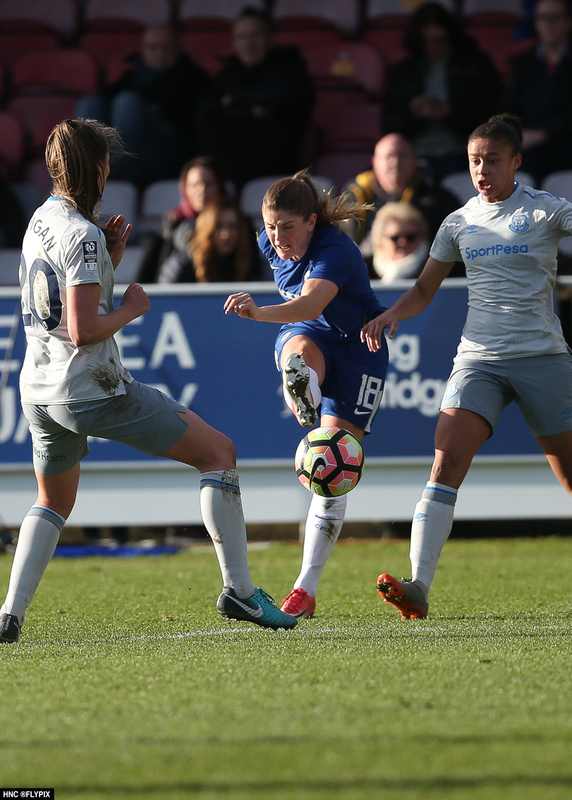 A second half strike by unmarked defender Jonna Anderson snatched the victory after a quality build-up resulting in a second half goal. 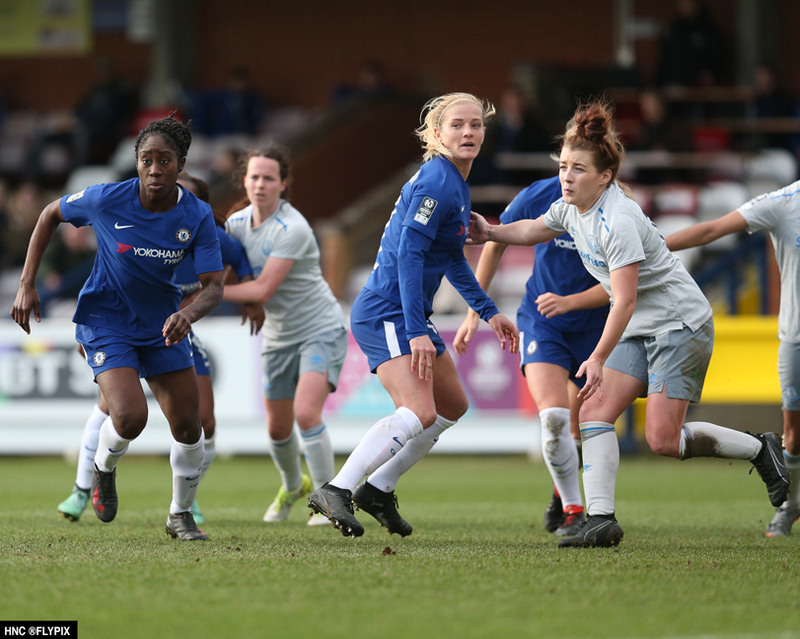 For much of the first half Chelsea Ladies LFC struggled to find their rhythm and were lucky not to have been two goals down during the first half. 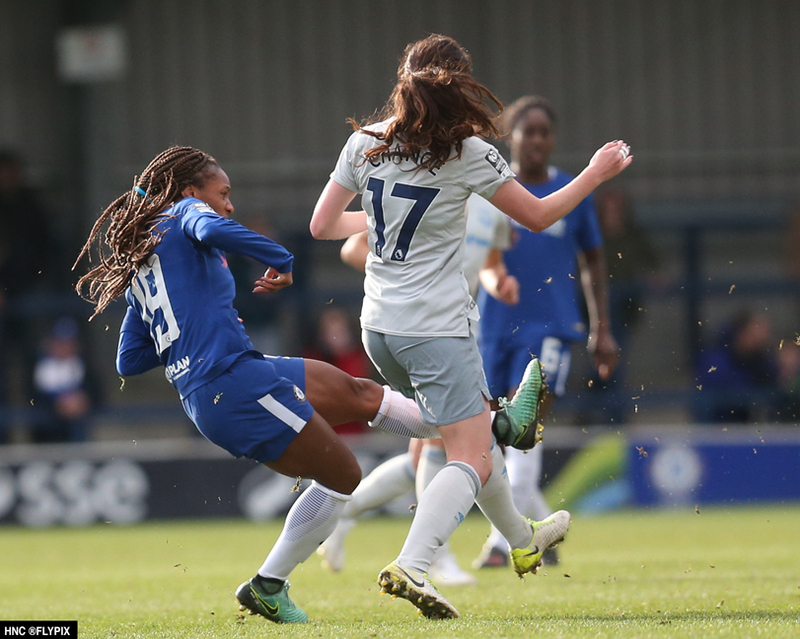 Everton hit the crossbar after they were awarded a penalty after Chelsea’s Anita Asante was booked after she pulled down Everton’s Courtney Sweetman-Kirk who came pretty close to scoring at a later attempt. 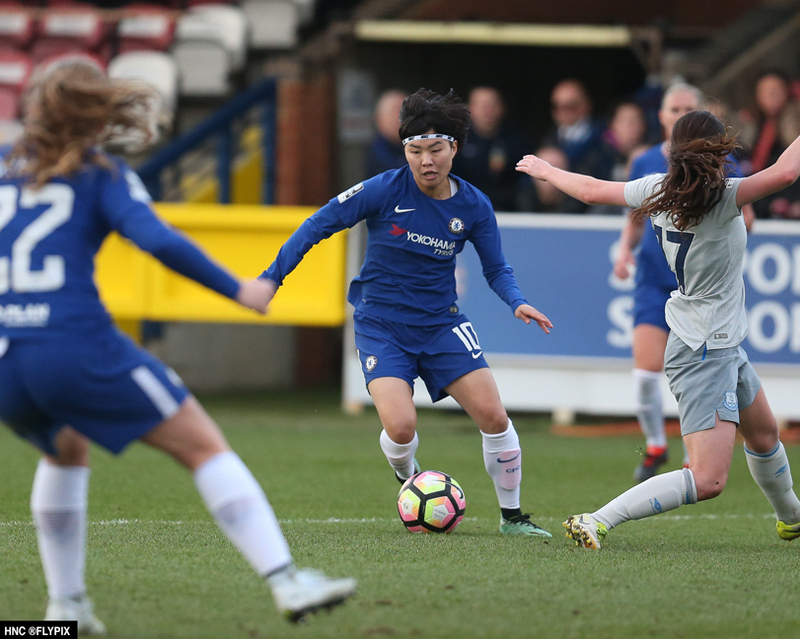 During the second half a revitalised Chelsea took control of the middle field. 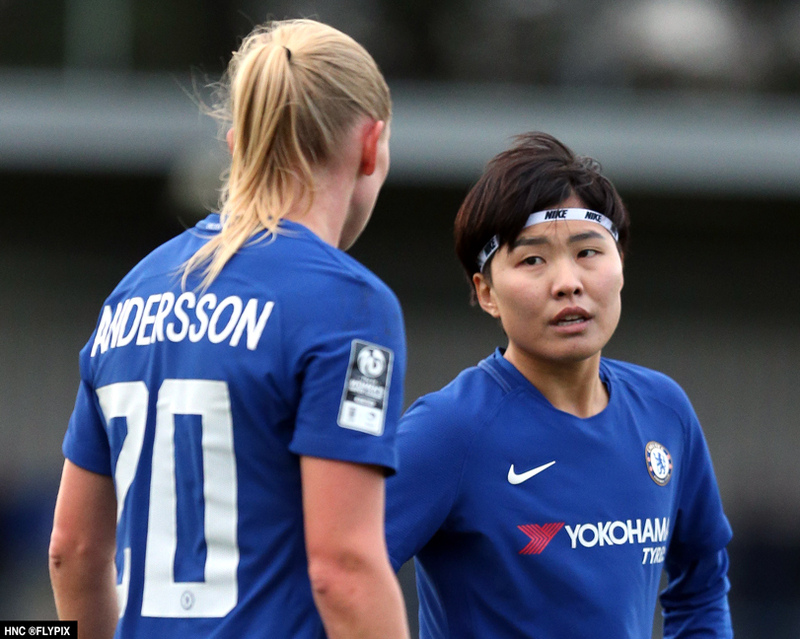 Chelsea Ladies LFC has an international line-up however the match was evenly balanced, that was until South Korean midfielder Ji So-Yun took to the field. The South Korean who came on for Kaz Carney changed the balance of the game. 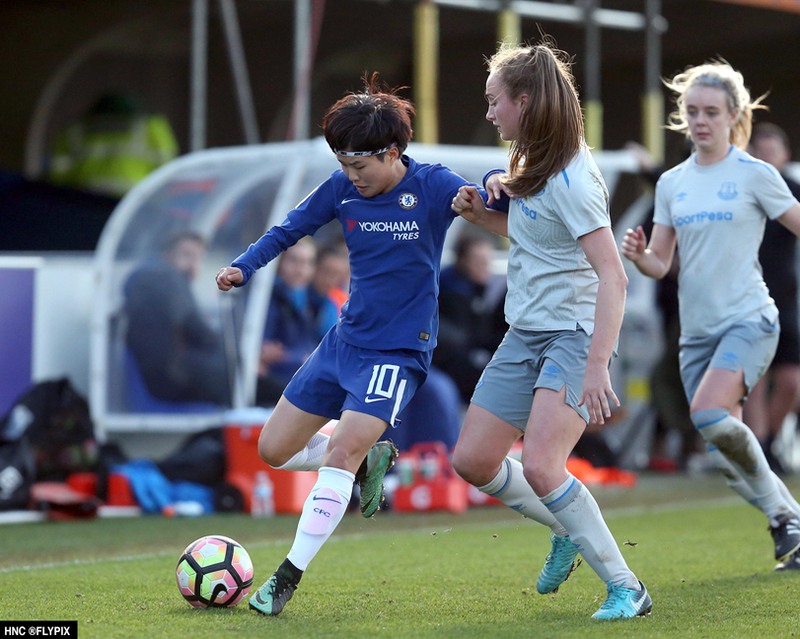 Everton struggled from this point to contain the South Korean international player who simply dominated her position. 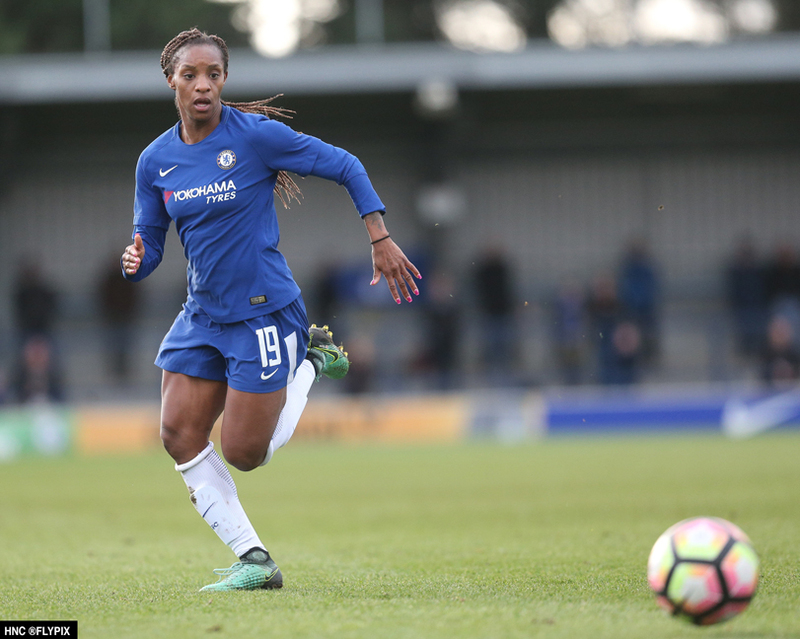 American winger Crystal Dunn had a solid performance and Chelsea Ladies in the balance of play fully deserved their victory. 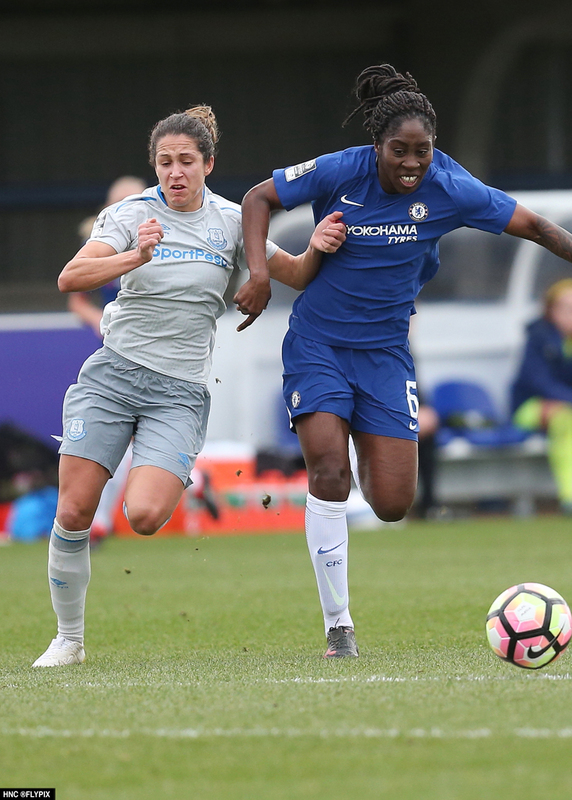 Chelsea Ladies LFC remain in the second position in the Super League behind Manchester City Ladies.